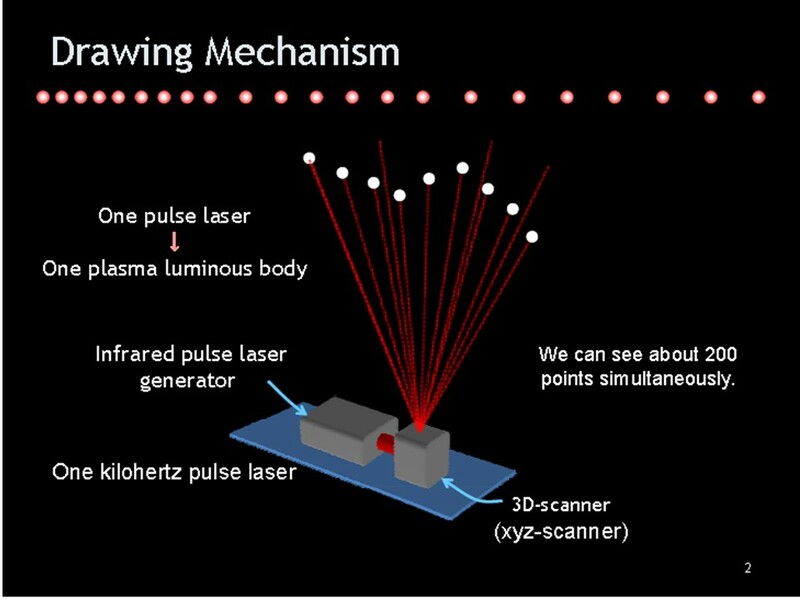 Most of the 3D displays reported until now draw pseudo-3D images on 2D planes by utilizing the human binocular disparity. However, many problems occur, e.g., the limitation of the visual field, and the physiological displeasure due to the misidentification of virtual images. To overcome the mensioned problems, we tried to research and succeed in developing "True 3D Display" which can produce bright dot in the air so audience can see 3D images in true 3D space. 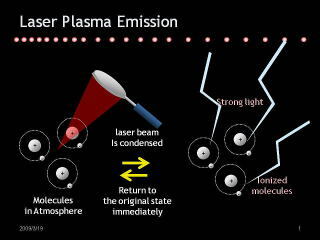 Our display device uses the plasma emission phenomenon near the focal point of focused laser light. By controlling the position of the focal point in the x, y, and z axes, it displays real 3D images constructed by dot arrays in the air.